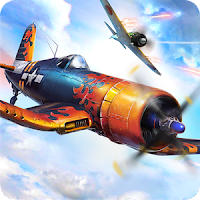 War Wings - very beautiful avia simulator for Android, the game has received many awards and achievements from popular publications. A lot of aircraft of different technical characteristics are waiting for you. The controls are very simple and intuitive, everything is worked out and beautifully designed.